When you want to bookmark a page and you have many tabs and categories it may happen that you don’t remember which tab a category is on, or you don’t remember the exact name of the category. 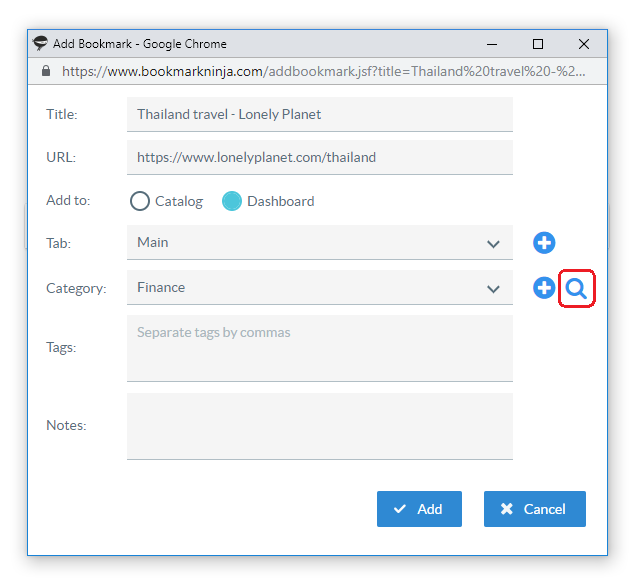 You can only find the category by selecting the tabs in the drop down list then going through the categories of each tab, which can be painful and makes the adding bookmark process long. 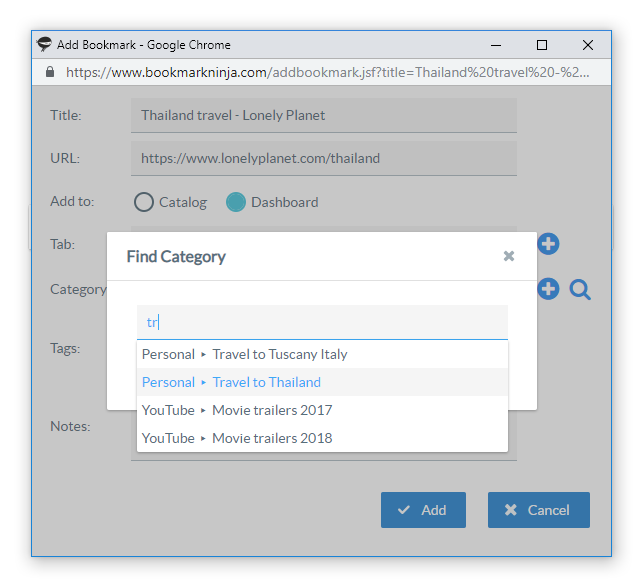 This new feature makes possible not just to quickly find a category but even the Tab and Category fields will be automatically filled out which makes adding bookmarks faster. (1) Click on the “Add to Ninja” bookmarklet or browser extension button. (2) Click on the magnifier icon next to Category field, the Find Category dialog will popup. (3) Start typing the name of the category (if the category name contains more words, you can start typing any of the words, it will find the category). (4) After typing 2 characters, you will get suggestions in a drop down list. (5) Select the Tab/Category from the list you are searching for (either with a mouse click or with pressing Enter). 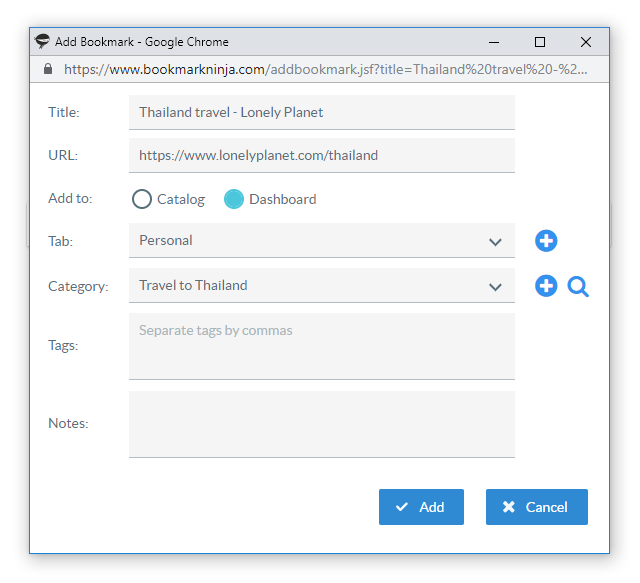 (6) The Tab and Category fields will be automatically filled out based on your selection. (1) Tap on the “Add to Ninja” bookmarklet. (2) Tap on “Find Category” below the Category field, the Find Category page will show up. (3) Tap on the text field and start typing the name of the category (if the category name contains more words, you can start typing any of the words, it will find the category). (5) Tap on the Tab/Category in the list you are searching for. Glad you like this new feature. Thanks for the feedback!